Is Your Job Search Rooted In A Solid Decision Tree? Recently, I read an excerpt from a book entitled The Decision Tree: Taking Control of Your Health in the New Era of Personalized Medicine by Thomas Goetz. In it, the author detailed the importance of taking control of your own health rather than leaving it in the hands of doctors and insurance companies through the use of a decision tree. Like a flowchart or algorithm, a decision tree is basically a diagram of a series of decisions, each with risks, benefits, and trade-offs. 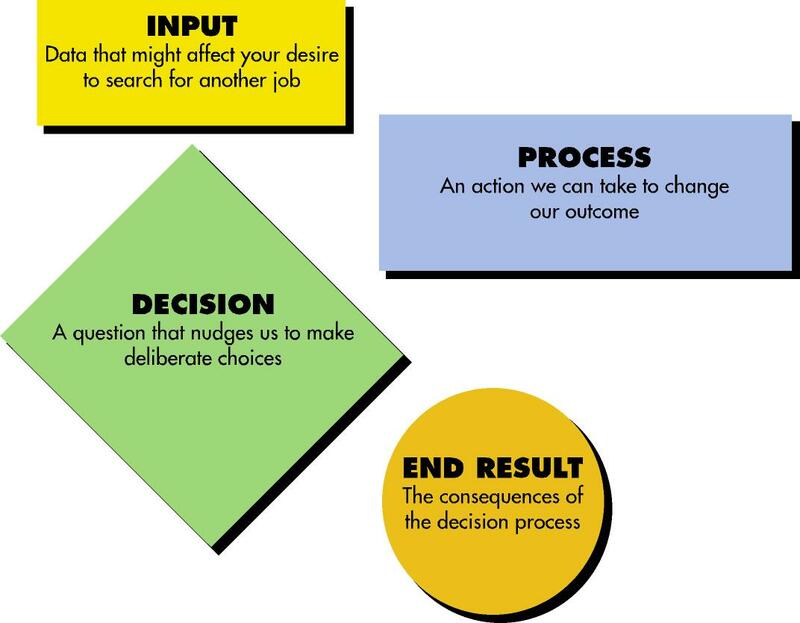 And just as a decision tree can be applied in our personal health, the financial industry, engineering, pharmaceuticals, and more, it can also be applied to making wiser choices in the job search process. Many people job hunt for the wrong reasons and, in the end, they often go back in the job market as soon as they land what they thought was their dream job. While in today’s society, the stigma of job-hopping has receded, many job hunters are often better off making an informed, rational decision about looking for a new job. And that’s where using a decision tree can help you decide whether you’re looking for a new job or your dream job. To grow your own job search decision tree, first consider all the input of why you want a new job and what you’re looking for in a new position. Consider questions such as, do you like your job but want a promotion or more money? Or, are you miserable, hate your boss, and want a fresh start? Or maybe you want a new career, more challenges or want to move to a new city. Remember to factor in all the input and you’ll get a pretty good idea of whether you want begin the job hunt process. If the scales tilt in favor of looking for a new job, then you still need to make a decision to act, look for a new job, change career path, or accept a position you’ve been offered. Many people will wake up every morning and say they want a new job, but never act on it. Have you reached your tipping point? Now, if you’re ready to look for a new job, you still have to consider the process involved. Do you want a new job enough that you’re going to spend the time and money looking, send out resumes, network, go on interviews, or even travel to another city? Are you willing to conduct your job search without your current employer knowing? If you want a new career, are you ready to consult a career counselor? Every point and question you ask in your decision tree will ultimately give you a “yes” or “no” answer which, in turn, will create a new branch of your tree. If you have more “no” answers then, odds are, your decision tree might grow for awhile. Only when all the branches point to “yes” and all the actions of the decision-making process lead to you to landing a new job will your decision tree bloom and bear fruit. Everyone has their own reasons for looking for a new job. However, whatever those reasons are, in today’s job market, leaving your existing job for a new one is a big decision. And while it may be overly analytical, before you start climbing the company ladder, you might want to take the time to climb all the branches of your own job search decision tree!